The shadow education sector plays a centrally important role in the Japanese education system. 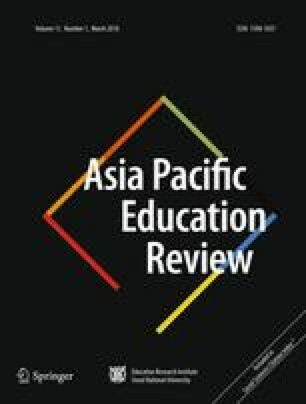 Advocates of Japanese shadow education institutions, or juku, claim that the pedagogy employed in these schools leads to superior results compared to teaching methods used in conventional schools. The lack of value-added testing of juku results suggests that these claims have not been tested. In this article, I examine the background of the owner– operators of small juku and the challenges they face in hiring teaching staff. The small juku examined were mostly founded during the juku-boom of the early 1970s and continue to teach 100–200 students with a staff usually numbering more than 10 part-time or full-time teachers. I find that almost no operators or employees come to the shadow education business by design. Instead, owner–operators “slide into” their role for lack of alternative options, or through early success, or through frustration with previous careers. Subsequently, many of the owner–operators embrace their work as a pedagogical calling. In hiring teaching staff, owner–operators circumvent the larger employment market by hiring their own “graduates”. This article is based on research supported by the Social Sciences and Humanities Research Council of Canada. I am grateful to Hirabayashi Kazuyuki for assisting me in the organization of research visits to juku. Michiyo Hayase provided essential research assistance. The editors of the special issue provided important comments to improve the article. Ministry of Education, Culture, Sports, Science and Technology (MEXT) (2008). Kodomo no gakkôgai deno gakushûkatsudô no kan suru jittaichôsahôkoku [report on the survey of academic activities outside of school]. http://www.mext.go.jp/b_menu/houdou/20/08/08080710.htm. Accessed September 14, 2009. Shimbun, A. [Asahi Newspaper]. (2005). Gakkô yori Juku ya Yobikô ga Yûshû [in a first-time survey by the cabinet office, 70 percent of parents declare juku and Yobikô superior to schools], October 7. http://www.asahi.com/edu/news/ TKY200510060270.html. Accessed October 8, 2005.